Are you rain or shelter? We're halfway through National Poetry Month. How are you celebrating? I've been doing write-overs, sorta like a do-over. 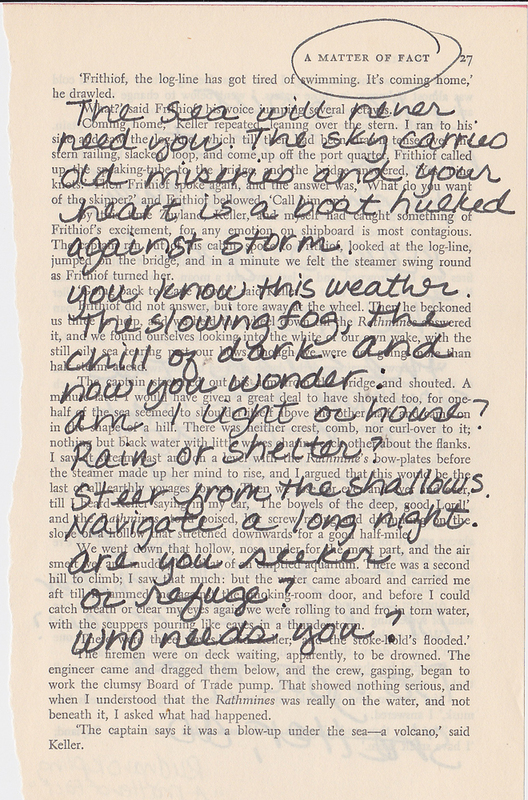 I just tear a page from an old thrift store book, gently glaze through the words, and then write my own. No intention, no direction, just wandering — with a solid literary foundation to prop me up. I just love the line: "The sea will never need you" — from Mary's Son, appearing in The Collected Poems of Rudyard Kipling. Bless his heart, Rudyard Kipling is taking me across hill and dale, sea and sky. So, where is writing taking you?